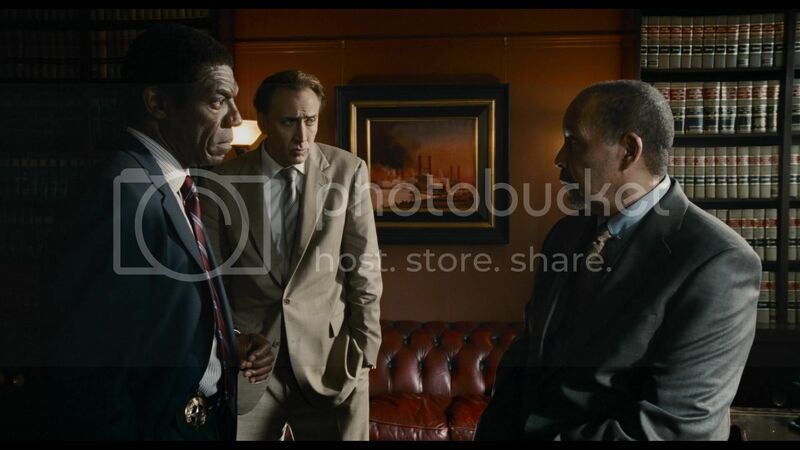 Bad Lieutenant: Port of Call New Orleans comes to Blu-ray with a 1080p AVC/MPEG-4 video presentation. The high-def release is not necessarily stunning, but still a very good presentation overall. The film has an intentionally murky look which does translate to Blu-ray quite strongly. Colors while not vibrant are pleasing to the eye; detail also manages to stay strong throughout. Black levels vary, but are generally quite inky and satisfying. If we are just judging the Blu-ray presentation to the average Blu-ray release, this presentation does fall a bit more on the average side. First Look provided me with a DVD copy of the film as well for comparison purposes. This is where the Blu-ray truly becomes a revelation, featuring improvements in every single aspect. The DVD is very muddy, lacks any detail or clarity and is just lifeless to be honest. The moments where the Blu-ray may look disappointing look five times as bad on DVD. While it could be a weak transfer for both formats, it is likely just the way the scenes were filmed. While the Blu-ray may not be amazing compared to the typical new-release, when compared to the DVD the flaws are much easier to understand. Overall I don’t think many viewers will be displeased by the Blu-ray presentation. Despite some moments that lack clarity, the presentation cannot be confused with the upconverted DVD in even the uglier scenes. While I’m not amazed, this is certainly a respectable presentation. 7.5/10. An Engish 5.1 Dolby TrueHD Audio track is included as the lossless option, also included is an English 2.0 Stereo track. Optional subtitles include English SDH and Spanish. The audio track on this release is good, but does leave a bit to be desired. Let’s start with the negative aspects of the mix. First off, surround use is quite minimal. The film is generally very front heavy and only features notable surround moments during the most obvious scenes in the film. Dialogue while generally easy to understand did feature a few muddy moments, but obviously due to the way Nicolas Cage chose to speak in the film. Now let’s talk about the positive aspects. I thought the clarity of the dialogue aside from a few Nicolas Cage moments was great, clear and easy to understand. The film’s few surround moments were quite pleasing and obviously fitting. There are scenes a bit more intense in nature which does manage to wake up and work your surround speakers nicely while the mix stays perfectly balanced clarity-wise. Overall the mix is quite good, yes it could have been better as far as incorporating surround sound effects, but it is far from flat. The mix will certainly please viewers, but I wouldn’t call the mix impressive necessarily. Regardless, it is a more than decent mix. 8/10. This is a collection of photos from the film which can be seen as a slideshow. This is a great behind-the-scenes look of production. We get some good interviews as well, it is just a shame it is in standard-definition. The extras leave a lot to be desired. Unfortunately missing is an audio commentary, which would have been nice to see on a film like this. The making of is quite strong and features plenty of footage, but unfortunately is presented in standard-definition. Overall this is a decent package considering the low price of the release. 3/10. 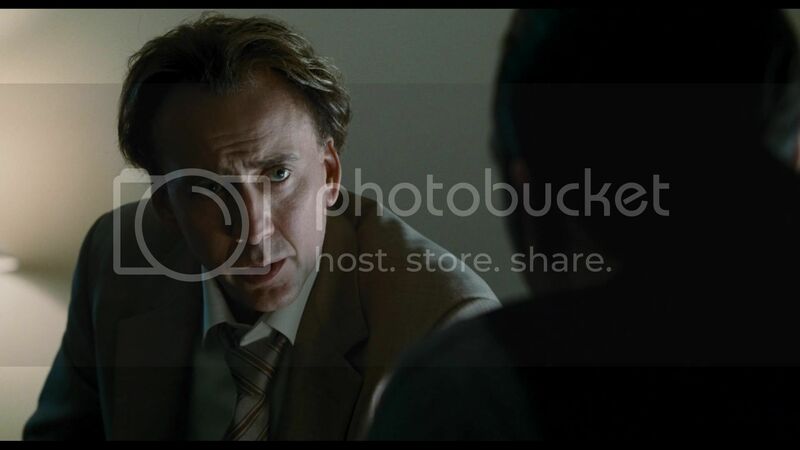 Bad Lieutenant: Port of Call New Orleans is a film I had never heard of until the last few weeks in which I realized the film would be receiving a Blu-ray release. I watched the trailer and quickly became excited to see the movie as it looked very promising and received some very strong reviews from critics. So did the film live up to expectations? Definitely. 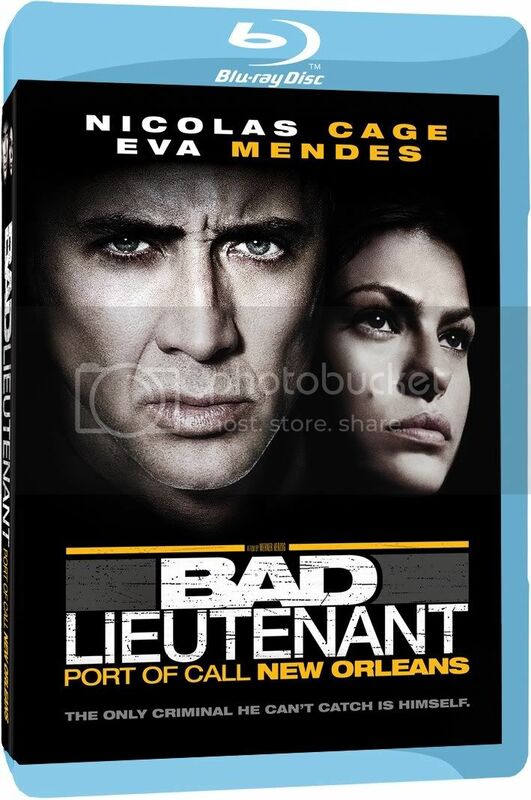 The film stars Nicolas Cage as New Orleans officer Terence McDonagh, who is award the title and position of Lieutenant in his precinct. Nicholas Cage has not been the most popular received actor lately, with bashed films such as Knowing and Bangkok Dangerous. Personally I have always thought that Nicolas Cage was a good actor and I have no shame in admitting that I definitely enjoyed Knowing. That being said, I absolutely hated Bangkok Dangerous and didn’t care for the National Treasure films very much. 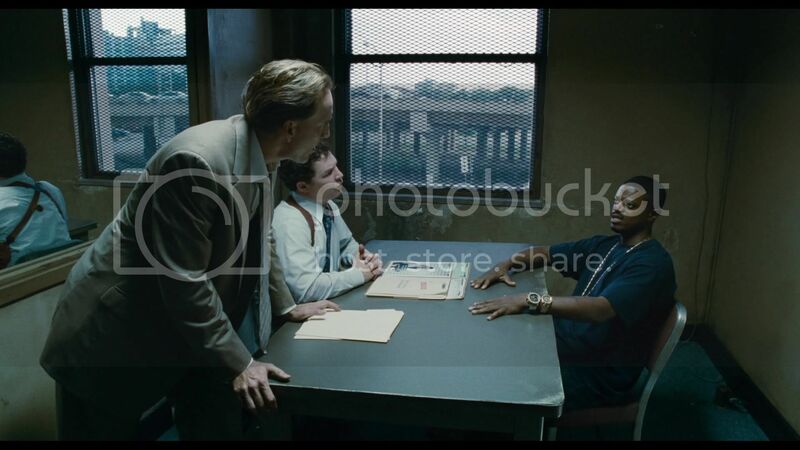 Bad Lieutenant is the story of a good guy turned bad guy, stemming from a back injury on the job which left him craving drugs after the prescriptions were gone. With his title and overall lack of authority in this precinct, he quickly becomes the man who takes advantage of the situation. Drugs are not the only thing on his mind though; he even begins a relationship with a prostitute played by Eva Mendes. While struggling with all his issues, he is also working on a case involving several murders. The film’s story feels a bit familiar, but I cannot put my finger on what it is familiar to. The performances in the film are fantastic though and truly become one of the biggest reasons to see the movie. 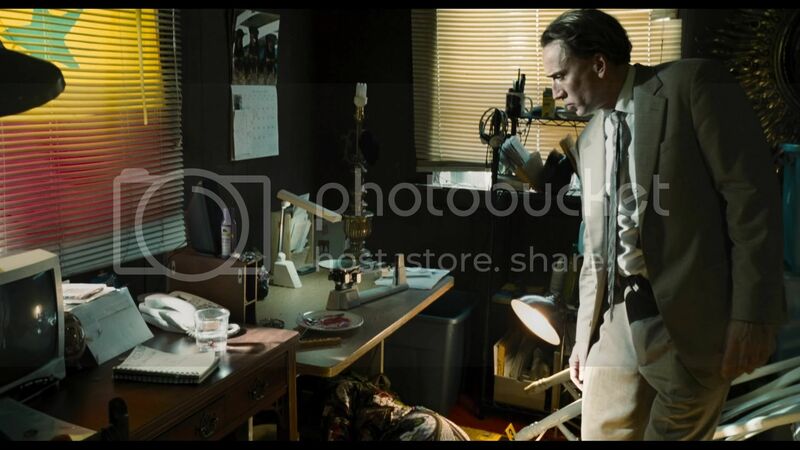 Nicolas Cage haters may possibly change their opinion after seeing his performance in Bad Lieutenant. The film isn’t exactly the most original, but it is very good and enjoyable. The film is directed by Werner Herzog, which I know isn’t the most popular received person in Hollywood either, but I do think he does a great job with this movie and am very pleased. 8/10.